Welcome back to another reason tutorial. I have been writing down multiple articles where the Matrix Pattern Sequencer has been applied. I never wrote down a complete article dedicated to this simple, yet effective machine. Since the Matrix is quite versatile as a device. 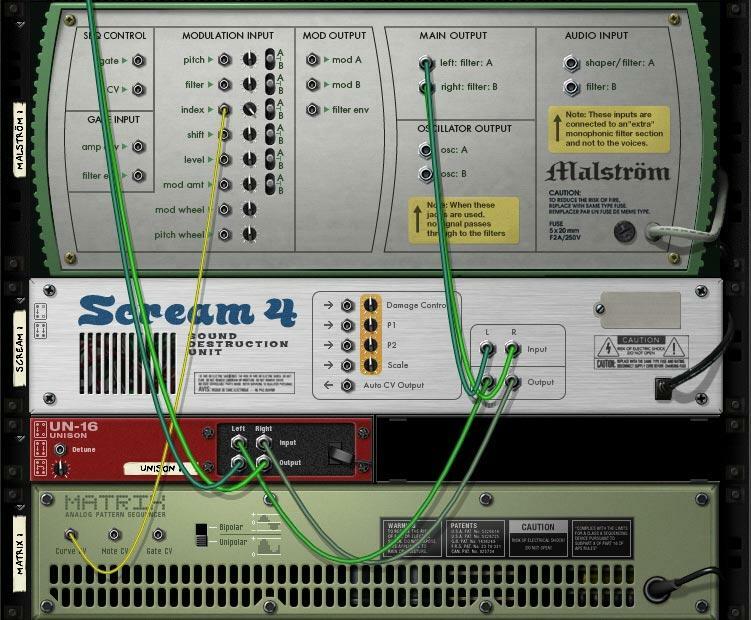 What makes it even cooler is that matrix has been here since the first versions of Reason. Till this day, the pattern step sequencer still is quite useful. In this set up the matrix will automatically connect to the device. Where the gate CV gets connected to the Gate input of the instrument. The Note CV gets connected to the Note CV input of the instrument. While using the Pattern banks (1 till 8, ranging from A till D). By default the matrix can hold up to 32 patterns. 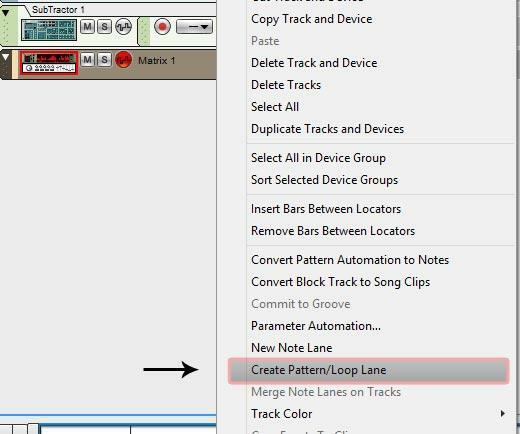 To make use of the Matrix pattern bank make sure to create a Pattern Lane on the Sequencer window. 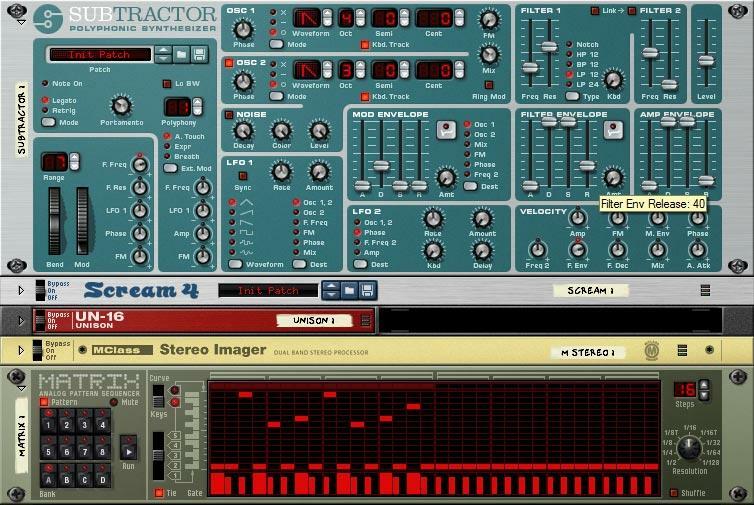 Select the Matrix pattern step sequencer on the sequencer window. Right click it and select "Create Pattern / Loop lane"
While this is all in its default state, there are some creative applications while using the Matrix. By default it will use the pattern / note segment. There is a knob on the Matrix that can switch between Keys and Curves. Curves are by default not used, since it requires a manual connection. While setting the knob to Curve the left panel will not display note information but display curve information instead. This is where the Matrix pattern step sequencer will shine. 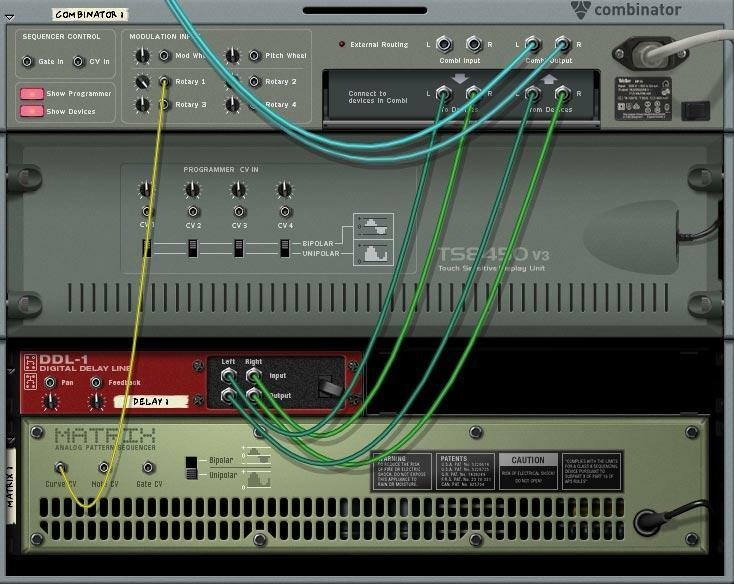 Since in this stage the device can be used to automate different settings inside the reason rack while using pre-programmed patterns instead. In most cases an LFO pattern (low frequency oscillator) will be enough to make these pattern based automation changes. But sometime there is need to have a different pattern, or a custom pattern instead. The only thing that is required is sending the Curve output (rear of the Matrix) and connect this to any setting that needs to be changed). For instance, in this case I am using the Curve to make changes with in the Index of a Malstrom. This makes the sound differ every note that is being triggered. But since the curve can be applied to any CV input there are endless possibilities in this realm. And our tool box is complete. At this point there will be no sound what so ever. However if there are any changes inside the curve it will show a digit in the digital delay line to show us what kind of changes that are being made. Thus this may help you understand how to handle Control Voltage in more detail. Just one last bit before closing this article, there is a setting that might require a mention and that is the Unipolar / Bipolar switch on the rear of the Matrix. Unipolar means that is sends out only positive values ranging from 0 till 127. Bipolar means that it sends out positive and negative values ranging from -64 till 63. To answer the question that I often see, why is there a negative value from -64 and a positive value of 63? Answer: this is because it uses a 7bit signature.The minimum value is 0, where the maximum value is 127. The number 0 is a value. So it can hold only 128 different numbers. Thus it ranges from -64 to -1 (64 numbers) and from 0 to 63 (64 numbers). Equals a total of 128 numbers. I hopes this makes sense.